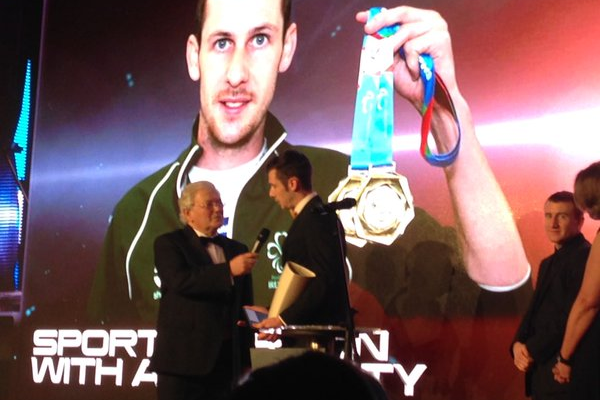 Congratulations to Michael McKillop for winning the Sports Person with a Disability award at the Belfast Telegraph Sports awards on the 25th of January. Michael McKillop is an inspirational figure for middle distance athletes. The track star struck ‘Gold’ twice at the IPC World Championships in Doha with victory in the 800 and 1500m races and has broken the 800m and 1500m World Record on numerous occasions. It all started when Michael gained the qualifying time for the European Championships back in 2005, aged just 15. Michael has never looked back and competed in his first Paralympics in Beijing in the T37 800m becoming the first athlete in this category to break the two minute barrier. Michael has gone from strength to strength winning gold in the 800m and 1500m at the London 2012 Paralympics, and hopes to do the same this year in Rio. We wish Michael the best of luck at the Rio 2016 Paralympics and look forward to supporting him in the build up to the games.